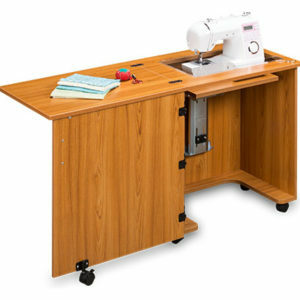 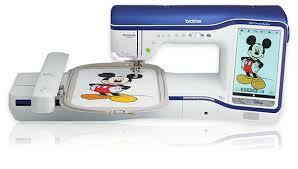 The best quality compact sewing machine cabinet for quilters and sewers. 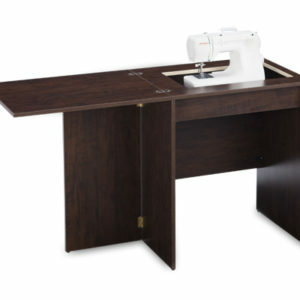 This piece of furniture provides extra support for quilts and large sewing projects by raising the already installed leaf in the back. 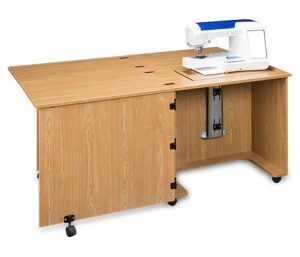 This piece of furniture features a wider cabinet design that accommodates the larger quilting, embroidery and sewing machines made today. 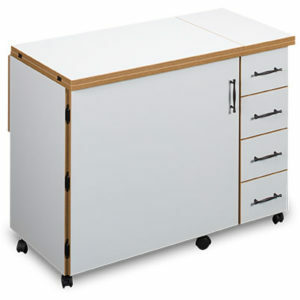 This sewing cabinet features: Commercial grade locking casters that makes it easy to move the cabinet around your sewing studio, Glued and dowel construction for tight, strong joints. 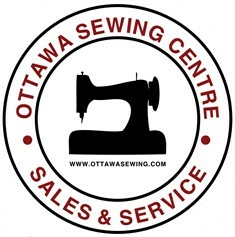 All hinges are flush with the top surface, meaning no snags on fabrics or quilts. 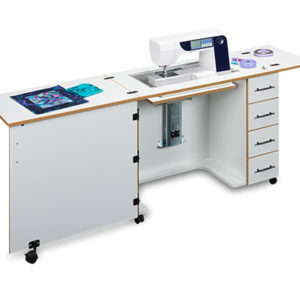 This model comes with the quality German made Rudersburg Lift to raise and lower your machine to the desired position for quilting, sewing or embroidery and even all the way to the bottom to close the cabinet when not in use. 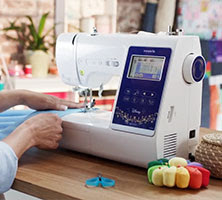 Centered sewing surface with sewer positioned directly in front of needle, for sewer comfort. 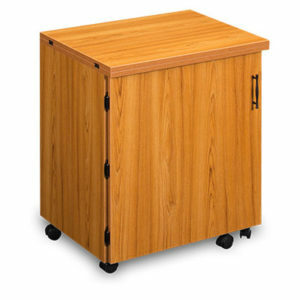 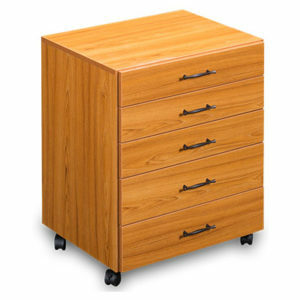 Fully assembled – all you have to do is mount the commercial grade, locking casters. 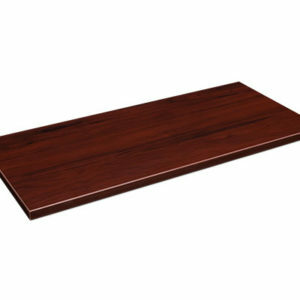 Durable stain, scratch, and heat resistant melamine finishes.